My first Svalbard summer expedition in 2018 between 15-25 July, was very successful with great encounters of polar bears, walrus, seals an birds. Some of the images is visible in this gallery. My second Svalbard winter expedition 2018 started April 17th. 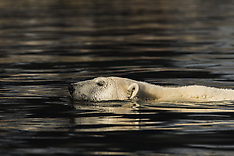 During 9 days I photographed polar bears, arctic fox and even the northernmost observed Orca. It was great light with long sunrises and sunsets. Some of the images from this expedition is published in this collection. My fifth and last photo expedition to Svalbard in 2017 was a mid August trip. Together with Eirik I was leading a group of WildPhoto clients, and we had 10 great days in the Arctic. We spent almost half of the time east of Nordaustlandet, between Kvitøya and Kong Karls Land, which is a very remote area. 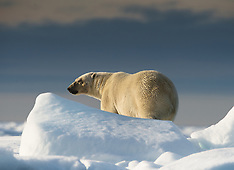 We had some great encounters with polar bears on this expedition and the midnight sun was magic. In July 2017 the ice conditions around Svalbard was much better than previous year, with a lot of ice around the archipelago. 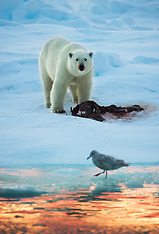 The polar bears were in good shape and we had some meetings with them in the ice or near a whale carcass. 19-27 June 2017 I was back again for a ship expedition around Svalbard. We had some great meetings with polar bears in the ice, but also walruses, arctic foxes, seals and Arctic birds. 18th March 2017 I was again ready to lead a new winter WildPhoto expedition by ship on Svalbard. With good experience from 2016 I hoped for some great landscape and wildlife meetings. The wether was cold the whole periode with temperatures between -17 to -29 degrees, so it was a great challenge for the camera equipment. 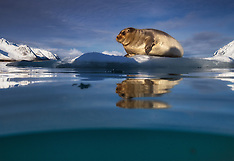 Below is some of the images taken during this expedition. My fifth and last photo expedition to Svalbard in 2016 was a late August to September trip. Together with Martin I was leading a group of WildPhoto clients, and we had 10 great days in the Arctic. 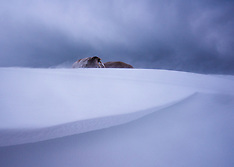 We had some rough weather, but also magic light, and nice situations and images of the wildlife and landscape. In July 2016 the ice conditions around Svalbard was suffering from a strong El Nino with no ice around the archipelago, but drifting ice north of 81 degree North. We had some great meetings with Polar bears and other wildlife. 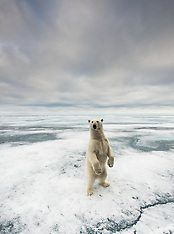 This was also the first time I manage to do some pole cam photography of Polar bears in the drifting ice. 17-26 June 2016 I was back again for a ship expedition around Svalbard. We had some great meetings with polar bears, walruses, arctic foxes, blue whales and bowhead whale. In mid April 2016 I was back for my second winter expedition with ship to Svalbard. The light conditions were outstanding and we had great meetings with Polar bears, walruses at Moffen and seabirds. The new WildPhoto winter expeditions turned out to be a great success! 18th March 2016 I had the honor to lead the first expedition with clients ever on a winter expedition with ship on Svalbard. Since nobody had done this before we could really feel the explorer spirit, but there were also many questions. Would we find any Polar bear? How would it be to use small zodiac boats in -20 degree C? We managed to find what we wanted, without any problems related to weather end temperature, so in the end everyone were happy. The images we achieved were also very different to what I've done and seen before. In second half of September I was back again in Svalbard with the WildPhoto team to see if we again could succeed with another Autumn light expedition. And what a trip! The whole 10 day expedition was a pleasure with great encounters with Polar bears, walruses and seabirds in magic autumn light and stunning landscape. The photo opportunities in the high arctic in autumn is hard to beat. In early July started my third photo expedition for the season, and for the first time we had extended the ship expedition to 12 days in the wilderness. This gave us more time exploring and photographing, and we really got som good encounters and pictures. My second photo expedition to Svalbard in 2015 was an early June ship expedition with some great WildPhoto guests. 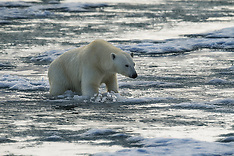 The expedition was announced as a Ice Lover trip, and we really had some great wildlife in the ice. 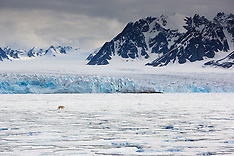 The landscape was stunning, making the perfect background for wildlife like Polar bears, seals and birds. I was back on the snowmobile in mid March 2015 for winter expedition. This time we hoped to find the Arctic King in great winter light, and we certainly made it! We had some of the best light conditions every and a very relaxed and nice Polar bear, in addition to other wildlife and great winter landscape. In July 2014 the ice conditions around Svalbard was unusual with a lot of dense drifting ice in northern parts of Svalbard. We had to go south and east, but we found what we were looking after - Polar bears. 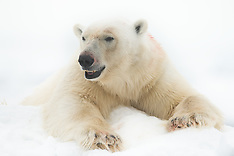 We had some great meetings, and also met a super big male Polar bear, possible weighting around 800 kg. Later in June I was back leading a ship expedition to Svalbard 25.06-05.07. This time we also went south and east and had great wildlife and photo opportunities. 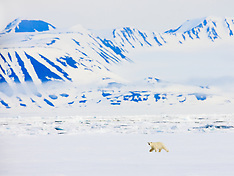 One the east coast of Spitsbergen we had one of my best encounters ever with a mother bear with two cubs. This was also the best expedition I've had for photographing the elusive Sabine gull. In June 2014 I had the pleasure to do my photo expedition #20. This time I and our WildPhoto guests photographed in the southern and eastern parts of Svalbard, which is not much visited and photographed. For me this was a new experience, after many expeditions to the western and northern parts of Svalbard. In mid April 2014 I was back in Svalbard, mainly for opening our new WildPhoto Gallery – the northernmost gallery in the world at 78 degree North. I spent a few days with family and close friends photographing around Longyearbyen and on the eastern coast of Spitsbergen. 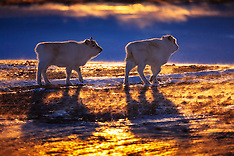 The arctic winter colors were magic and the wildlife and landscape was inviting for some great photography. My third and last photo expedition to Svalbard in 2013 was a late September – Autumn light – trip. 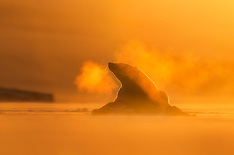 As usual I was leading a group of WildPhoto clients, and we had 10 great days the Arctic. 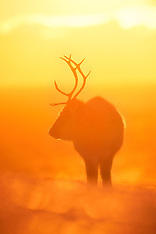 The light was magic, and we really got some nice situations and images of the wildlife and landscape. This late autumn expedition also showed us the situation the Polar bear and other wildlife are facing with no drifting ice around the archipelago from late summer to mid winter. My second photo expedition to Svalbard in 2013 was a late summer trip in August / September. We had some great Polar bears, seals and seabirds on the ice. 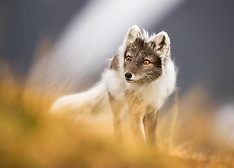 In early June 2013 I was back in Svalbard leading a WildPhoto group for 10 days. The migratory birds were back and the wildlife in the drifting ice was very nice. 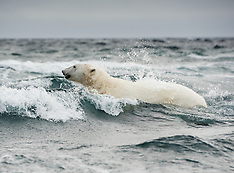 The second photo expedition to Svalbard 2012 in end of July was different to the first one. 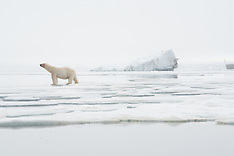 We had many great encounters with seals and walruses, but we also had 6 days of fog in the drifting ice, so it was hard to find the Polar bears. 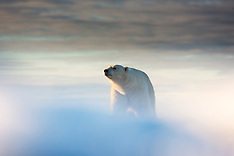 But finally the fog lifted and we found some really nice Polar bears to photograph. 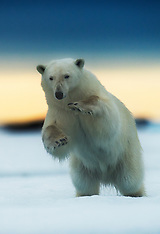 My first photo expedition to Svalbard in 2012, was also very successful. During 10 days in mid July we had 39 Polar bears, and some of them very curious and cooperative. In front of a single glacier there were not less than 19 Polar bears and the setting was perfect with midnight sun and great landscape. This photo expedition to Svalbard, mid August was one of the best trips I've ever had. 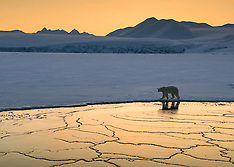 The ice condition, arctic light and wildlife was perfect. We had some stunning meetings with the Polar bears, and my most famous Polar bear images - Living on thin ice - was shot during this expedition. 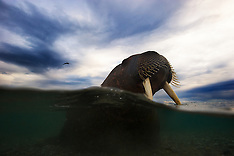 This image won the "Animals in their environment" class in the BBC Wildlife Photographer of the Year 2012. My visit #13 to Svalbard was a big success. 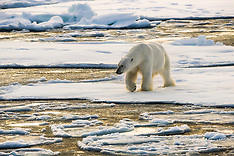 During this mid July 2011 ship expedition we had some great encounters with Polar bears, Arctic fox and seabirds. 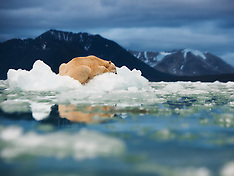 One of the Polar bear images from this trip was awarded the Overall Winner in the Arctic Photographer of the Year 2012 competition. My fourth and last photo expedition to Svalbard in 2010 was a September-trip. 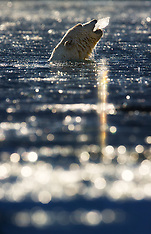 The arctic autumn light was great and we found Polar bears, seals and other wildlife in the drifting ice. 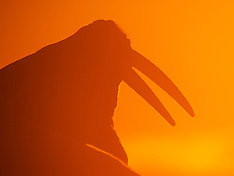 Late in August 2010 I was back for another photo expedition to Svalbard. The light at this time the year is getting better and better, and the midnight sun is gone. We had some nice encounters with Polar bears and other wildlife, like the big Blue whale. 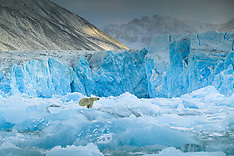 This mid August photo expedition to Svalbard in end of July 2010 was mind-blowing. We saw and photographed 42 Polar bears during our 10 days in the wilderness, and some of the encounters were nothing less than magic. 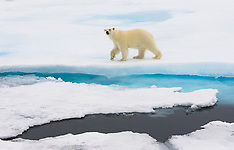 Polar bears on blue ice was highlight on this expedition. This photo expedition in late June 2009 was my second assignment for Wild Wonders of Europe, and together with WildPhoto Travel (earlier Naturfokus) clients we photograph great wildlife and landscape. 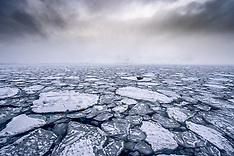 It was much ice to reach the northeastern parts of the archipelago, but still we had very nice photo opportunities. In March 2009 I was back on the snowmobile for my second winter expedition to Svalbard. This expedition was part of my two assignments for Wild Wonders of Europe - one of the biggest nature photo project in the world. It was very windy and cold during this expedition so I and my partner Roy Mangersnes had some very challenging days in the Arctic. 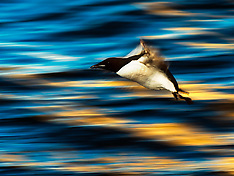 In July 2008 I was back again leading a photo expedition with ship to Svalbard. One of my best memories and images form this expedition was the close meetings I had with Ivory gulls. 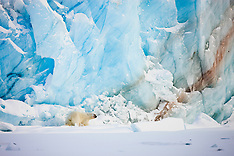 This portfolio is from my first winter expedition to Svalbard, in April 2008. I used a snowmobile to explore the Isfjorden area at winter. 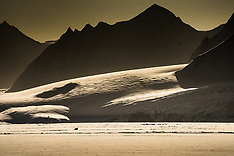 During my days in the wilderness on the western side of Spitsbergen I had some amazing light conditions. The Svalbard reindeers were also approachable, which gave me some very nice photo opportunities. 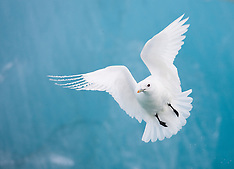 In mid July 2007 I was back in Svalbard for a 7-day photo expedition by ship. e I had many nice meetings with Polar bears, Walrus and other wildlife, most of them in the drifting ice north of Spitsbergen. 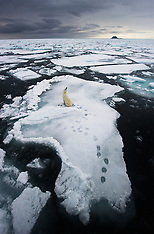 In June 2006 I was back in Svalbard co-leading a group of 12 photographers on the expedition ship MS Origo. 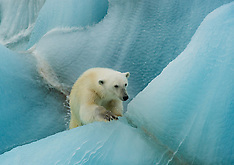 It was great to be back in Svalbard and photograph the wildlife and landscape when it was still a lot of ice and snow. 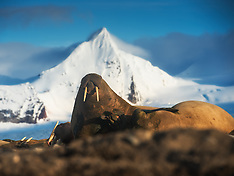 In September 2014 I did my first photo expedition to the Svalbard archipelago. After 7 days on a expedition ship in the arctic wilderness I was overwhelmed by the beauty of the Arctic landscape and wildlife, and wanted to come back as fast as possible. After this trip I also saw the potential for providing even better expedition for photographers, and this was the beginning of the Naturfokus (later WildPhoto Travel - www.wildphoto.com) photo tour business.